Did you know that you can become an All You Reality Checker? Yeah – pretty cool to be able to give real input to a magazine that appears to be doing a great job of featuring real people inside (not just celebrities and models). You can thank Northern Cheapskate for me, she’s my informant for this opportunity. Basically, you have the opportunity to take surveys and provide input for stories they are working on for the magazine. They also like to give out gift cards. For example, they were awarding a $10 grocery gift card to every 20th Reality Checker who completed a survey about their All You Yes You Can sampling event last weekend. I know that those of you who attended would have loved to provide some feedback on that event (I heard from many disappointed readers, especially for the stores who were supposed to host the event but failed to do so). They will help you match up those coupons you have with great prices! Just remember that each Walmart store carries a slightly different selection of products and that the prices also vary slightly by region. Be sure you understand and print a copy of Walmart’s Coupon Policy. If you have any problems using coupons at your Walmart, please follow-up with corporate by calling 1-800-WAL-MART. Walmart is the best source of free samples for a wide variety of products. Their free sampling program is managed by StartSampling and they say that you should get your samples within 2 to 4 weeks of requesting them. Nothing new? That means lots of great new samples are coming soon! Check out the In-Store Events page for updates. There are over 100 coupons at Coupons.com for you to browse and print. Some of them would be great to take to Walmart (or any grocery store). Happy free sampling and couponing! I round-up the Walmart freebies every Wednesday. I cannot tell you how excited I am to have heard about this website. I am a mom and Grandmom and need all the freebies I can get in the economy we are in right now. I have always been frugal and fun to have the challenge of living this way. 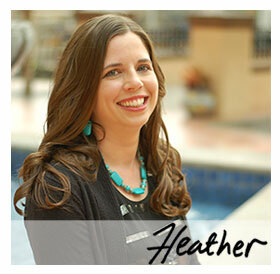 Thank you for all your hard work Heather. I learned of this on tv! I discovered a Freebie this week that I haven’t noticed on your blog, and I just wanted to pass it along. If you’ve previously mentioned it and I’ve just overlooked it… sorry! :)Nature Made is giving away free samples of a 14-day supply of liqui-gel vitamins at their site, http://www.naturemade.com. You can select from a variety of vitamins. Thanks for the hat tip! And for the Pampers coupon! I definitely need that around this house! Thanks for posting about All You Reality Checker. I just signed up!